When we first met with Phil and Colleen we gained a clear understanding of exactly what they were looking for in their new home. 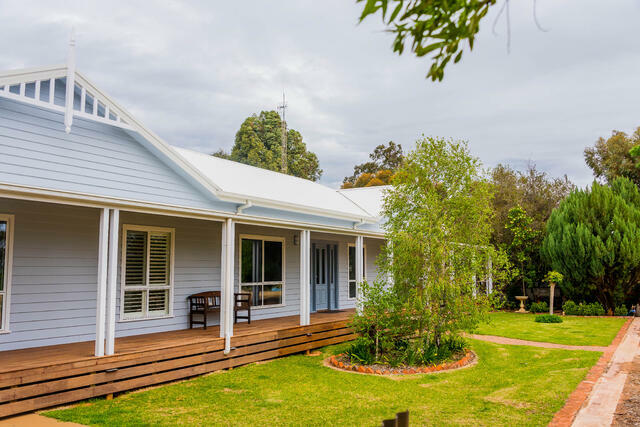 They had designed a custom home with approximately 220m2 of internal living space and 160m2 of verandah/alfresco area which our team was able to slightly modify to suit modular construction. 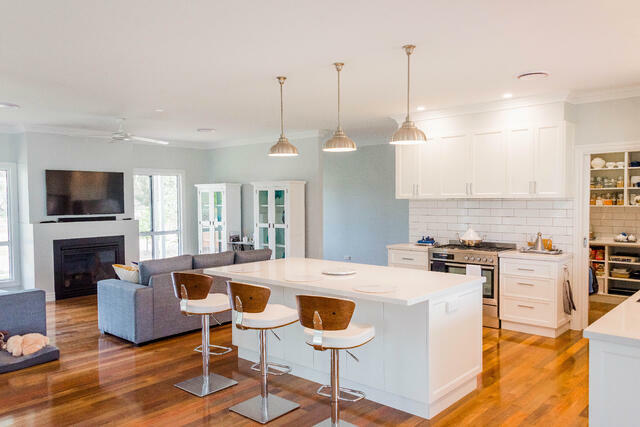 Inside the home features beautiful custom cabinetry, stone benchtops, luxury high end fittings and stunning Spotted Gum floor boards. The high pitch roof design with double gables gave the home added country charm and no detail was left overlooked, right down to the inclusion of a doggy door for their beloved pooch. They also wanted their new home to fit the same ground space as their previous home, and it was important that no damage was done to the surrounding garden during the construction process - a challenge our team was happy to accept. We would sincerely like to thank you and your staff for the beautiful home we are now living in. 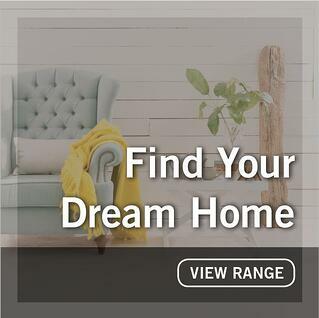 Our journey to Swanbuild was perhaps a bit different to many others who choose to build a new home with you, but with our home being destroyed by fire, it wasn’t something we thought we would ever have to do. All of your staff were so kind and thoughtful during this very difficult time for us and we can’t thank them enough. We can’t speak highly enough of Travis for his guidance and input during the planning process. He gently steered us through the enormous process that a new build is. He pointed us in many directions we hadn’t thought of going and advised us on decisions that had to be made. It was a mutual and two way relationship with many emails back and forward but nothing was ever too much trouble. Although Travis had only worked with your company for a short time, his ideas, advice and input was invaluable. Our time with Travis made the whole process most enjoyable and resulted in a very beautiful home. We would also like to thank James who looked after us during the construction phase and was always happy to see us and answer any questions and emails (there were many!). Anything that appeared to be a problem was dealt with straight away which we greatly appreciated. To Helen, Courtney, Josh, Craig and yourself, who were always welcoming when we visited or on the phone and willing to assist us in any way necessary. 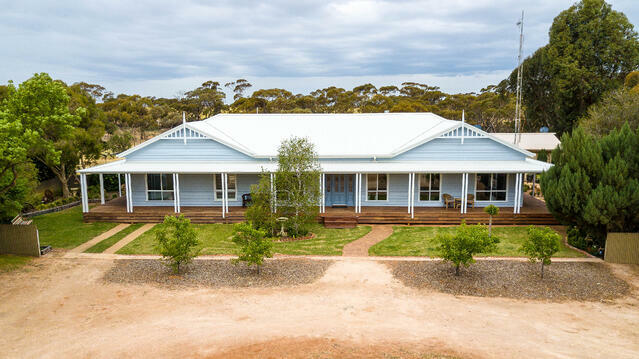 We would like you to pass on our thanks to the Bendigo Company who delivered the house on their 4 trucks and the crane operators who lifted the house into place. The care and attention they paid to minimising the damage to our garden was unbelievable and we are so grateful. This process must have been a difficult one for them but they were so careful. Our home now sits in the existing garden and looks like it has always been here. We are again able to share our home with the many different varieties of native birds who inhabit our undisturbed garden. This has been a very positive outcome to what has been a very difficult time for us so thank you once again. The onsite builders, roof plumbers, plasterers and painters were all great and made sure everything ended up looking fabulous. 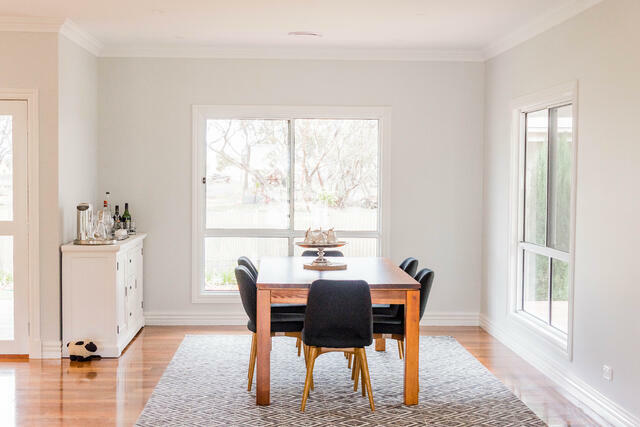 We have had so many wonderful comments regarding the layout of our home, the natural light that floods in, our magnificent hardwood flooring, the standard of the painting throughout and the overall quality of the finishing details. Please pass on our thanks to everyone. Once again thank you and your staff so much.